The development and applications of a new class of water-soluble compounds suitable for molecular tagging diagnostics are described. These molecular complexes are formed by mixing a lumophore, an appropriate alcohol, and cyclodextrin. Using 1-BrNp as the lumophore, cyclohexanol is determined to be the most effective overall among the alcohols for which data are currently available. Information is provided for the design of experiments based on these complexes along with a less complex method for generating the grid patterns typically used for velocimetry. Implementation of a two-detector system is described which, in combination with a spatial correlation technique for determining velocities, relaxes the requirement that the initial tagging pattern be known a priori, eliminates errors in velocity estimates caused by variations in the grid pattern during an experiment, and makes it possible to study flows with non-uniform mixtures. This detection and analysis combination also solves one of the problems associated with using caged fluorescein to study high-speed flows. 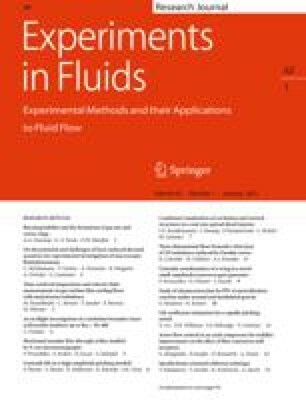 In addition to the traditional implementation for velocimetry, novel applications for studying the Lagrangian evolution of both reacting and non-reacting interfaces and obtaining combined passive scalar/velocity measurements are demonstrated.